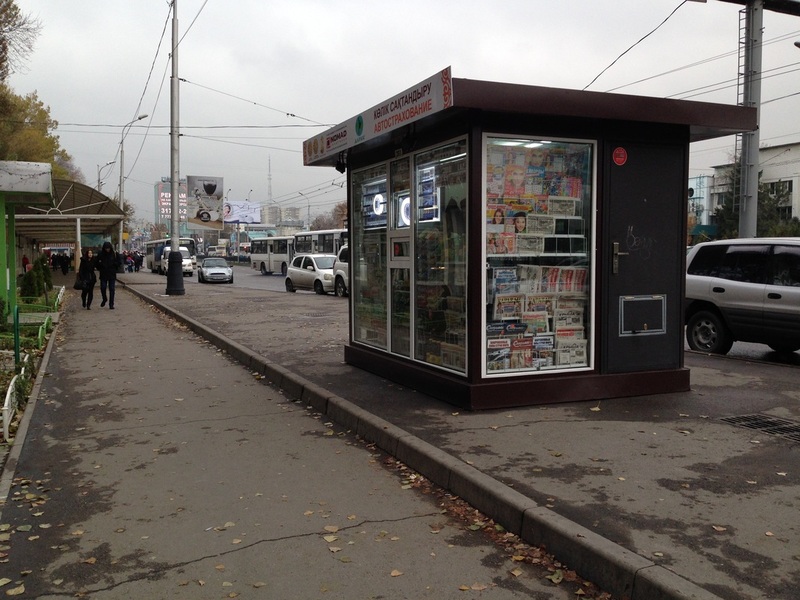 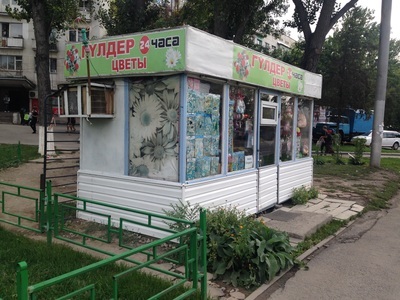 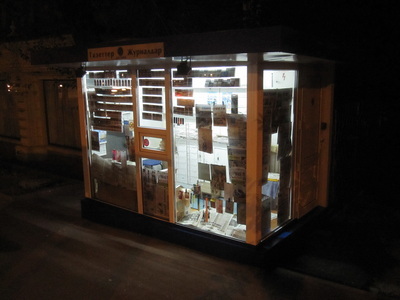 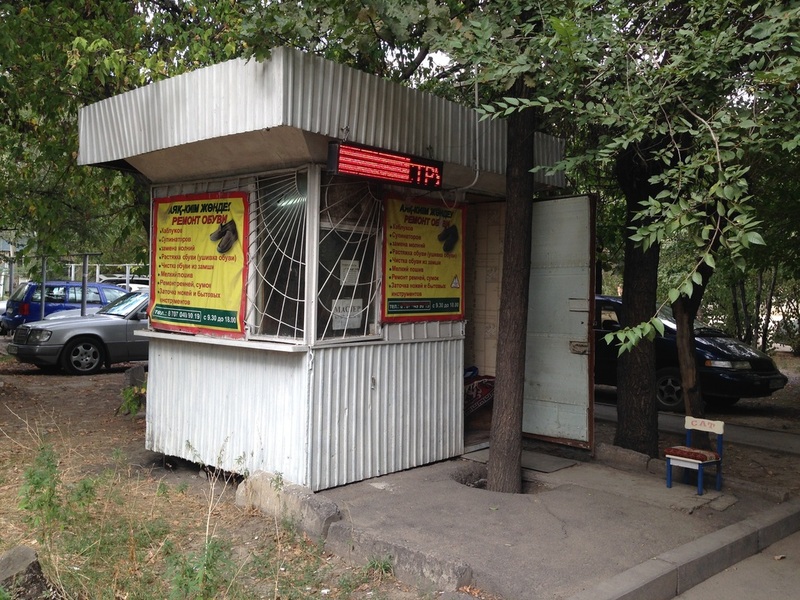 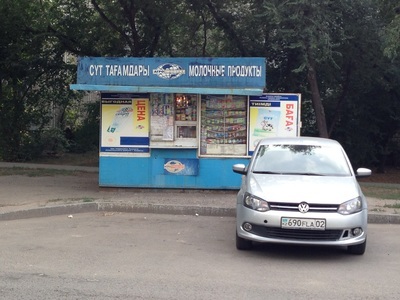 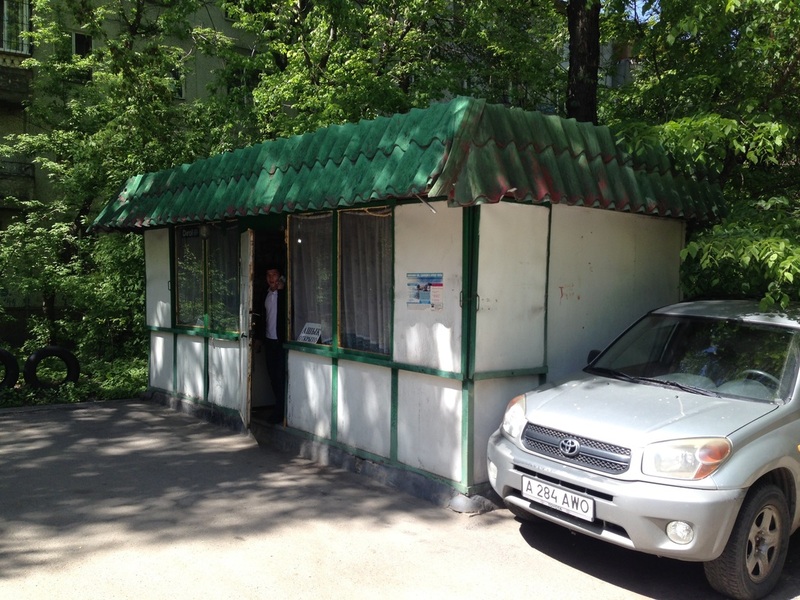 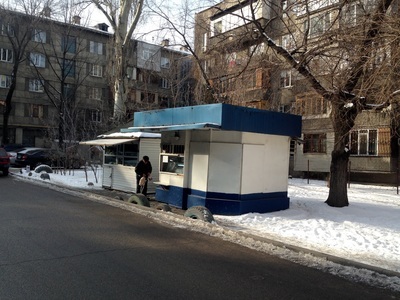 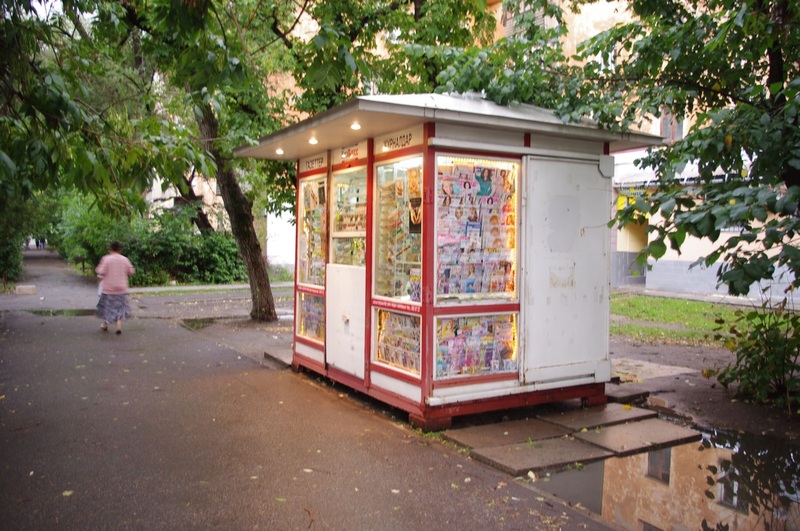 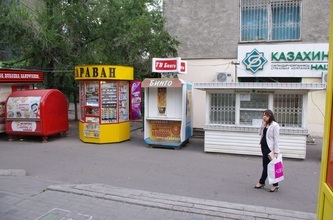 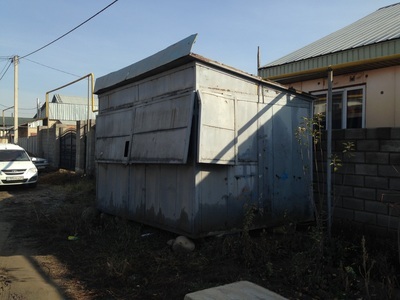 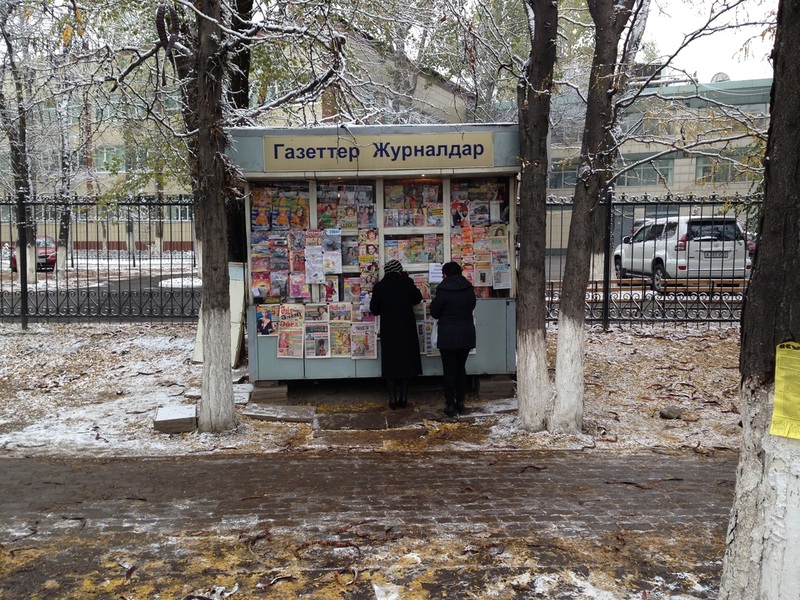 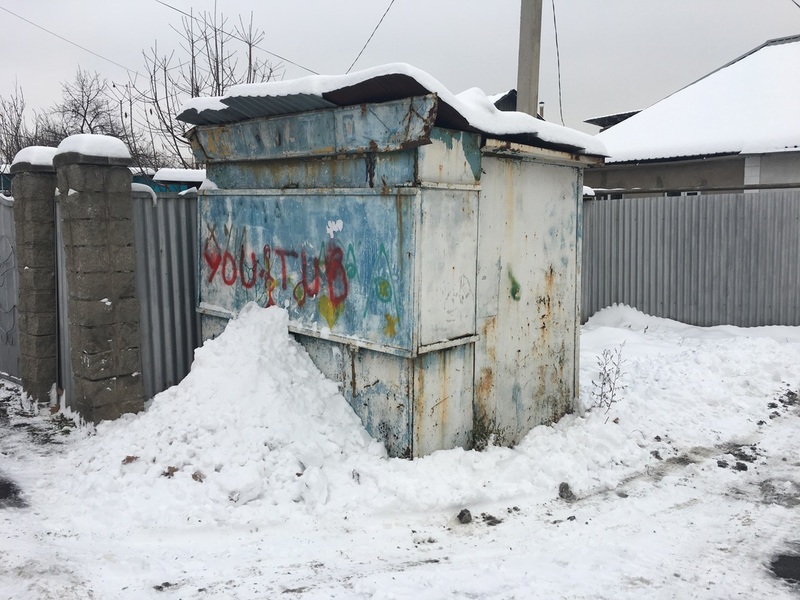 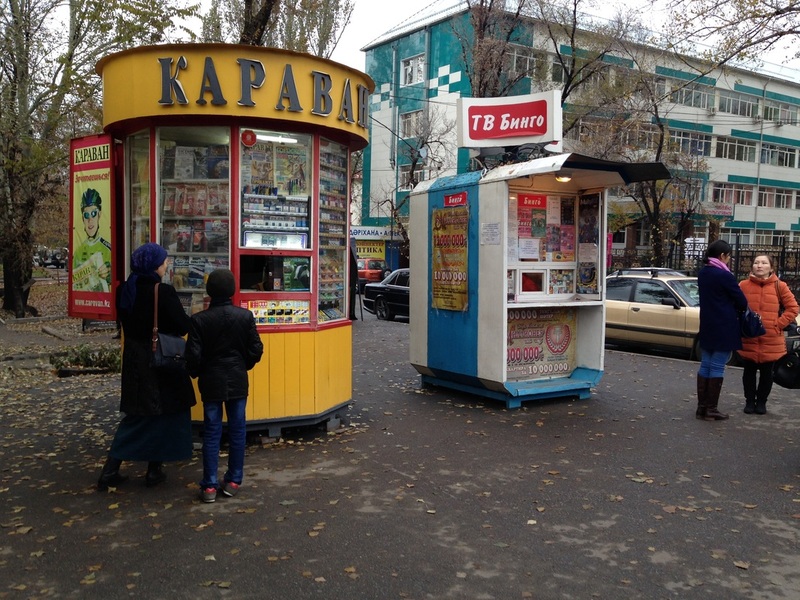 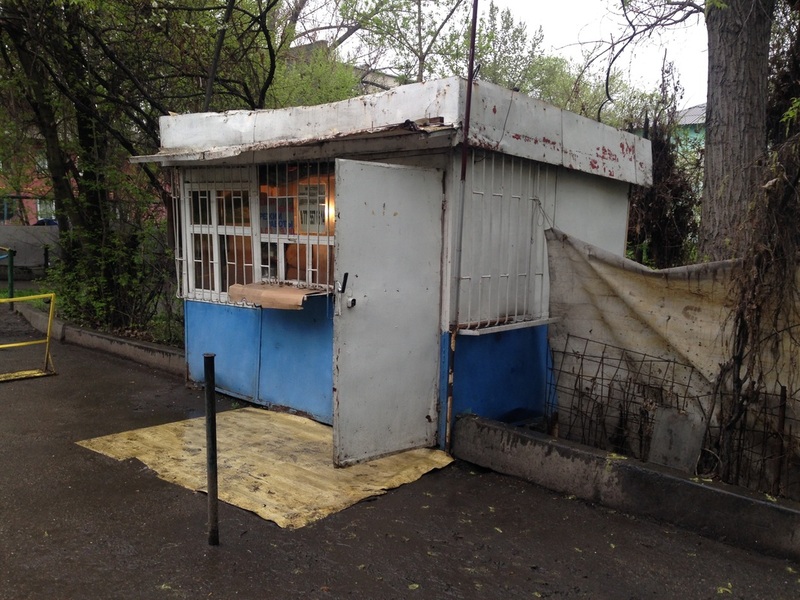 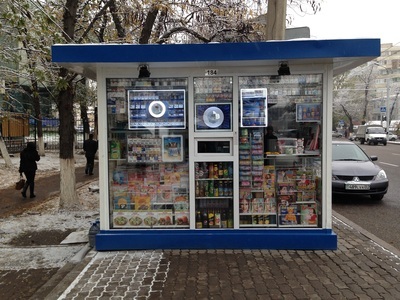 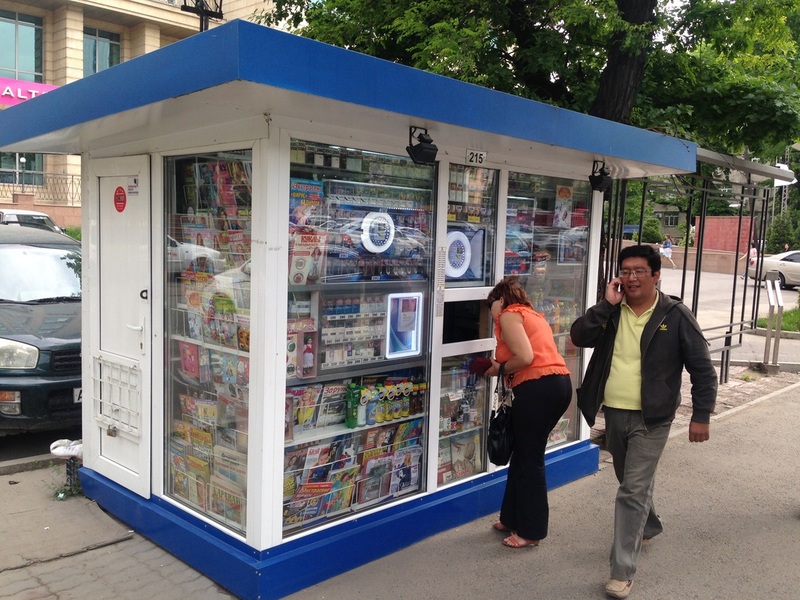 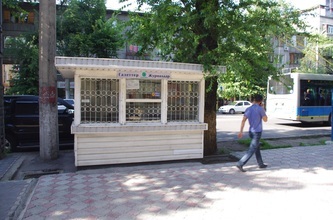 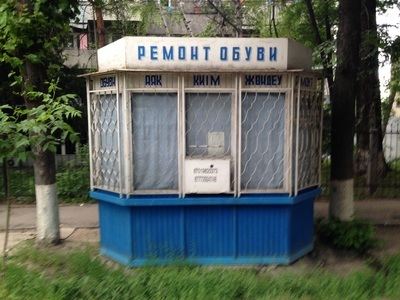 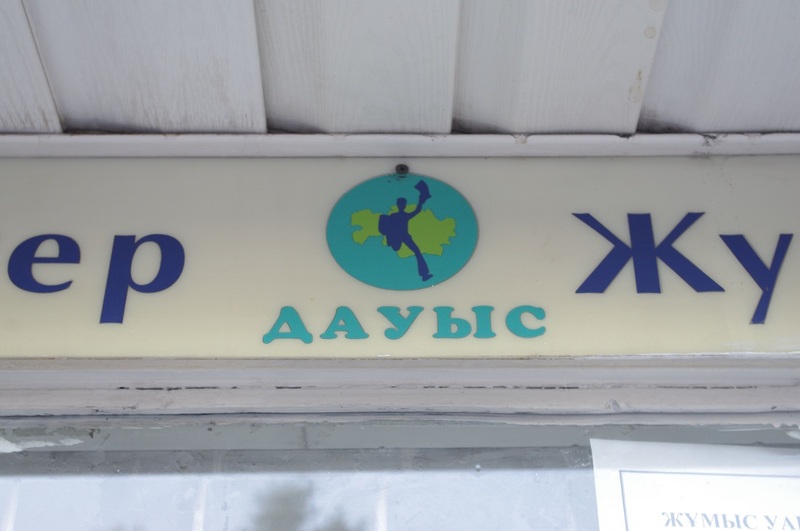 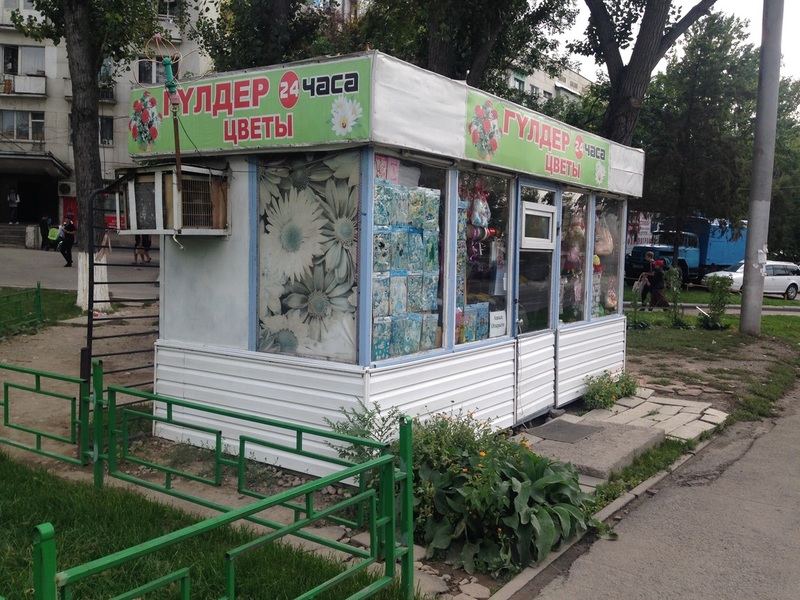 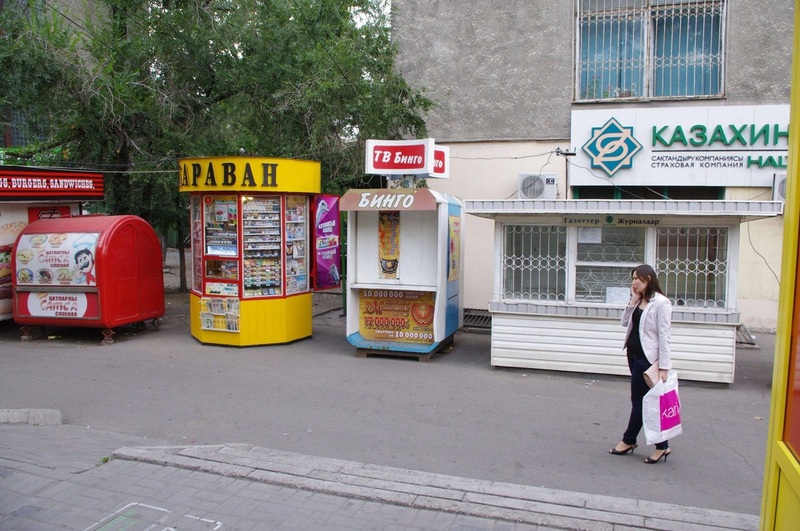 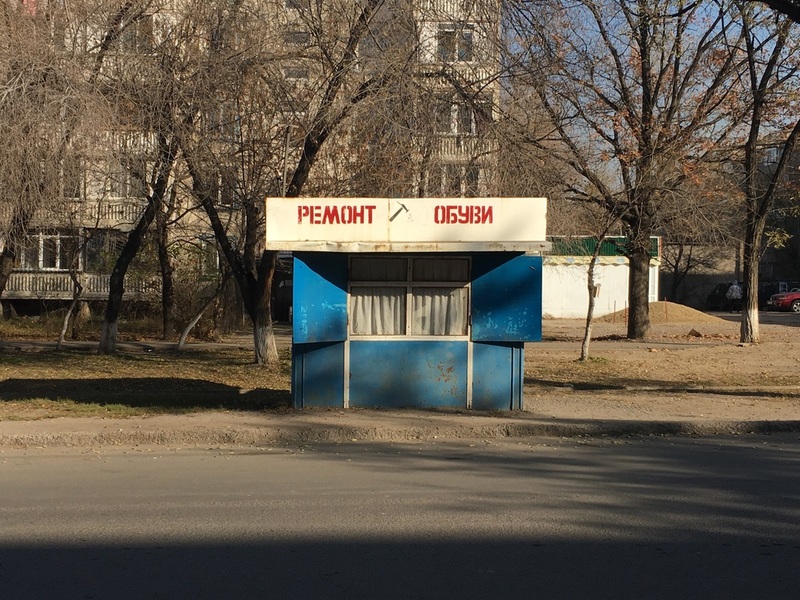 In much of the Western world, the printed page is facing impending doom, but in Kazakhstan the humble newsstand lives on. 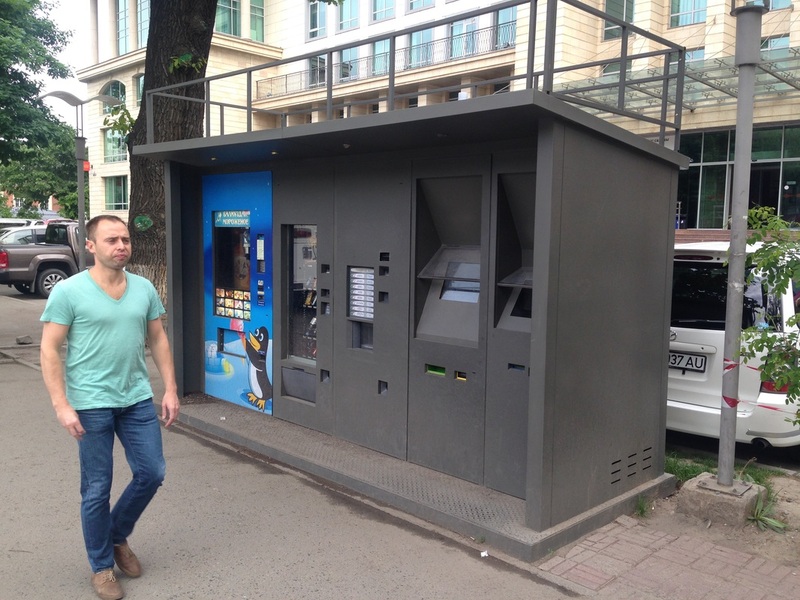 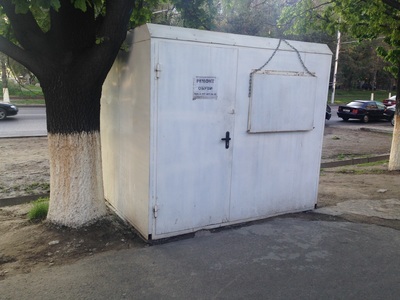 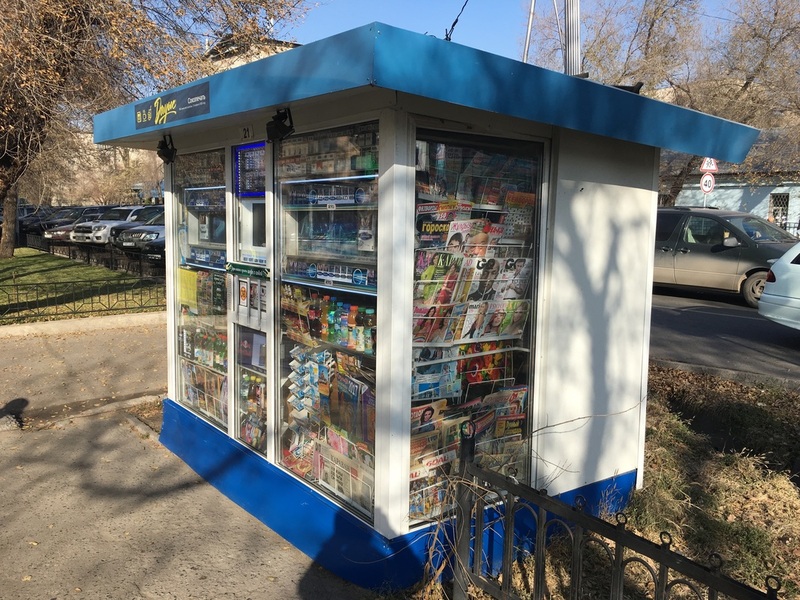 Squat little kiosks [киоски; kiosky] sit by the hundreds on Almaty sidewalks, hawking not just the daily papers but gum, cigarettes, and children's toys. Three companies share a monopoly on newspapers, Kazpress, Karavan, and Dauwys, but you can also find kiosks that sell lottery tickets and Chinese noodles to-go. 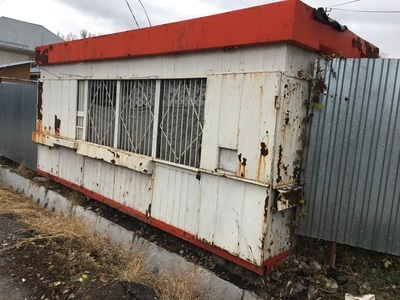 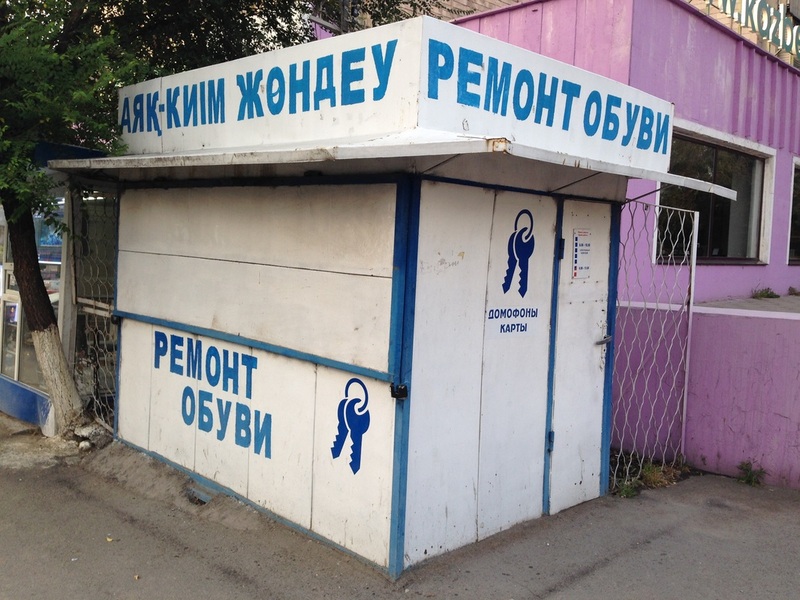 Each is reliably staffed by a cranky old woman who hates her de facto prison cell, but reserve the bulk of your pity for the poor Kazakh family who has lived in an Almaty kiosk for several years.